Garage is a 30 x 30 with a 12′ ceiling height for a car lift that will be installed later. 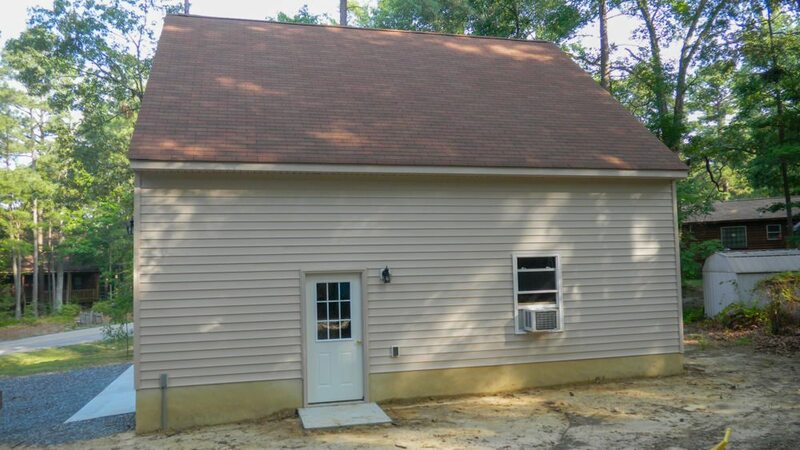 Permits were filed for and approved in Chesterfield Co. Virginia. Our first step after permitting was to remove 12 trees and stumps from the construction area. 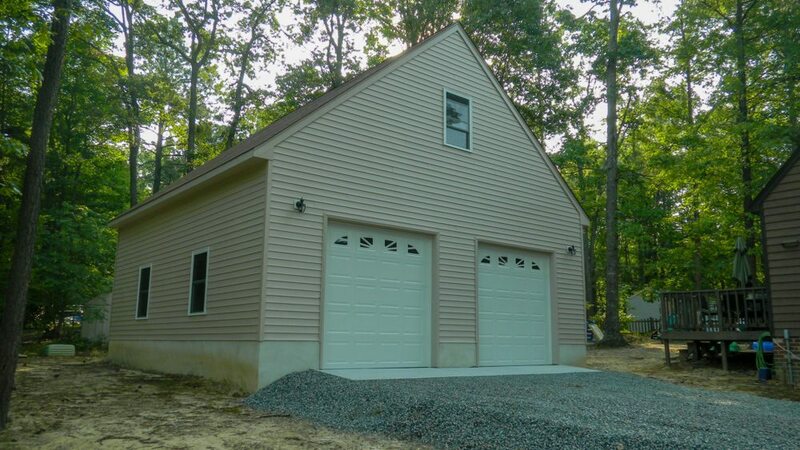 Front view of completed garage. We then dug footings to a depth of 2′ minimum. Concrete blocks were installed and the exterior was parged with mortar for a stucco effect. Framing of the walls and setting of the 10/12 box room trusses was completed in a few days. Vinyl double hung widows were installed and flashed to code. 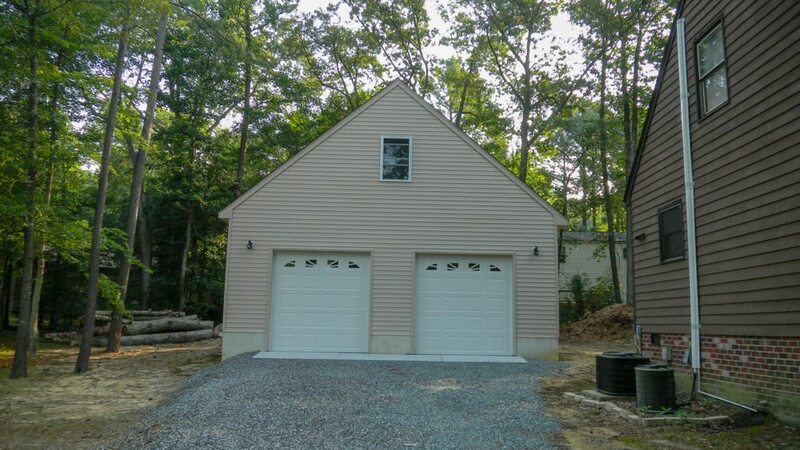 Side view of completed 30 x 30 garage. The exterior was covered in Typar house wrap and Certainteed straight lap vinyl siding was install on the entire building along with aluminum cornice on all trim boards. Shingles are asphalt based 3-tab Owens Corning with a 25 year warranty.The electrical package included ceiling fans, 8′ fluorescent lighting and 220 leads for both welder and the motor of the car lift. The concrete floor has a 4″ gravel base and 4″ thickness on the feild and 8″ depth at the mounting point for the car lift. Please feel free to ask questions or call us for your future projects.